Just the right height for younger players! Features a wide, stable 36"-diameter base. Supports a 4'H rim and hardwood backboard. Love the red white and blue colors and backboard seems easy for residents to see. It is as big as me so I have to pull it across the floor to get out and put away. It is a good height for all residents as their shoulders have some pain when arms are raised for some. I actually use a small stuffed Minion to toss as it is more bullet style and doesn't roll away. The residents enjoy it too! I also use a stuffed red/white/blue fabric basketball to shoot as it doesn't go far either. I also have a small round squishy ball that has some air out of it to lower the bouncing effect but it does still roll. Looking to try a soft nerf ball if I can find one. It easily fits in the elevator and fits in a storage closet when put away. 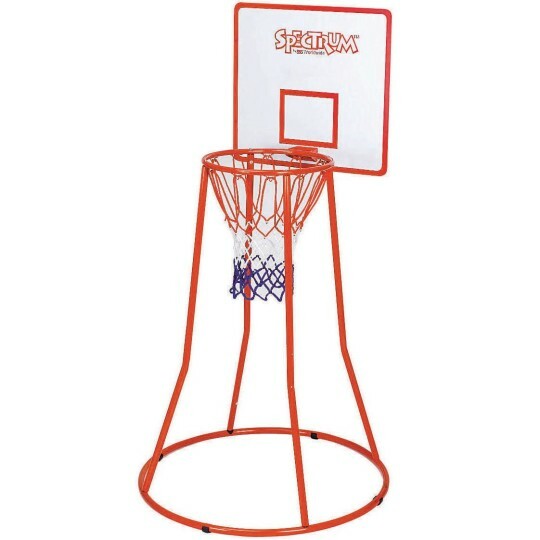 I love the fact it has the backboard or balls would be flying everywhere each time. 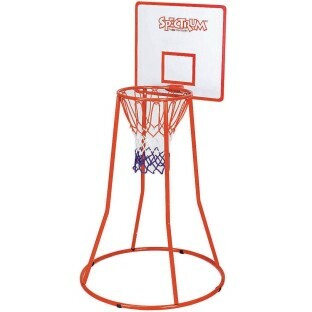 The backboard makes it more successful to the players and they play seated. One shooter made 8 out of 8 one 3 out of 3 one 3 out of 5! Lots of fun! The backboard cracked after approx. 2-4 hours of normal use. Purchased for a child care center with primarily 5-12 year olds. They love it! Participants of the Y ages 5-12 use this product. Basketball through the ages--it's great! 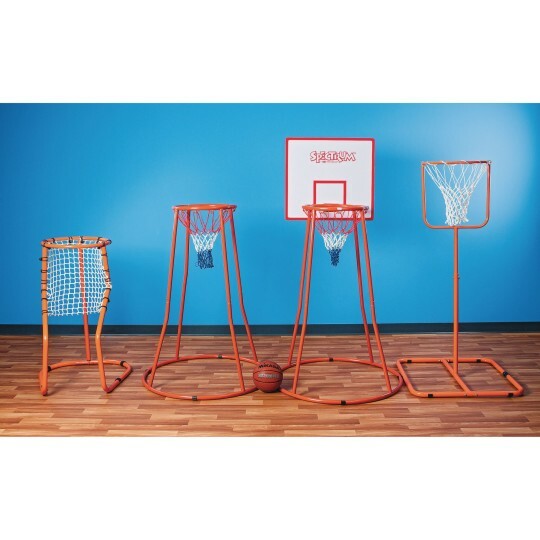 We have resident's from age 50' through the 90's and they all enjoy shooting hoops. It is a big hit even the Therapy department borrows it.